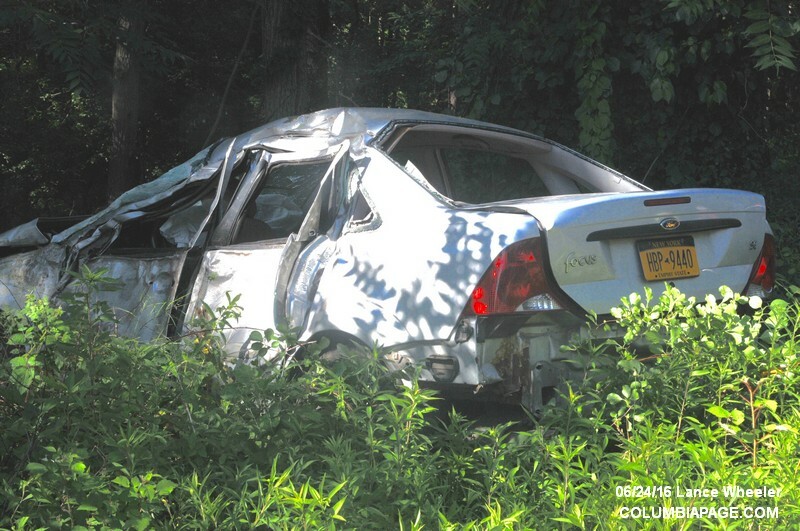 The State Police at Livingston are investigating a one-car collision which occurred at approximately 6:00 a.m. on Friday June 24, 2016 on State Route 9G / State Route 23B in the Town of Greenport. 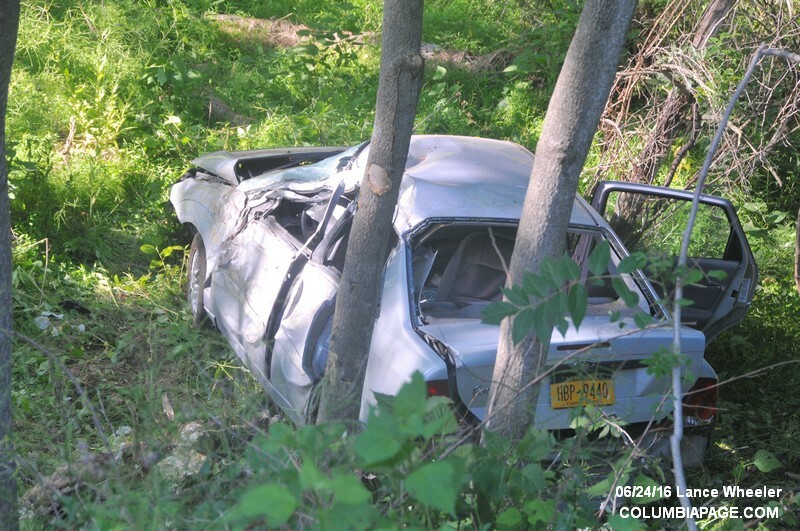 The preliminary investigation indicates a 2002 Ford Focus being operated by a 16-year-old female was traveling south when the vehicle drifted off the east shoulder of the roadway. A 17-year-old Athens teenager who was a rear-seat passenger suffered serious internal injuries and was initially transported to Columbia Memorial Hospital in Hudson. 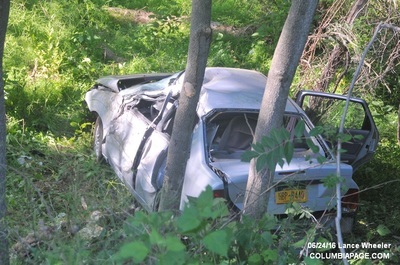 She was then air-lifted to Albany Medical Center where she remains in critical condition. 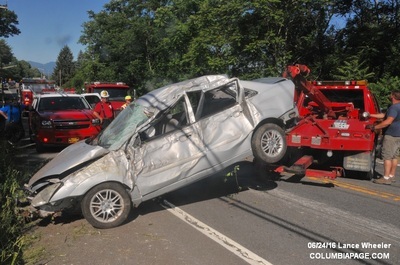 Two other teenage passengers in the car, a 16-year-old female from Catskill and a 17-year-old male from Coxsackie sustained non-life threatening injuries. The incident remains under investigation, but thus far there is no indication the driver was impaired by alcoholic beverages. The occupants were returning home from a party being held in the Town of Cairo. Greenport Fire Department provided emergency services at scene. Greenport Rescue responded. Mutual aid ambulances responded from CC Northern Dutchess Paramedics, Catskill Rescue, Cario Rescue, Coxsackie Rescue and two Greene Medics. Reported four total patients - all transported to Columbia Memorial Hospital. 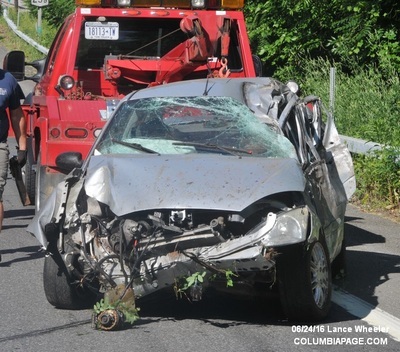 LifeNet responded but did not transport from the scene. Route 9G was closed between Middle Road and Route 23. Greenport Fire Department was in service at 9:23am.